Whether you’re selling SEO to a local business or a national brand, selling your services as a digital marketing consultant can be a bit tricky. Before I get into the big list of tips from other agency owners, I wanted to share a few of my own first. Hopefully these can help give you a new perspective on selling and help you strengthen your closing game so you can make the most of your leads. Don’t Complicate It Too Much. Being in the business for years, we’re all familiar with the buzz words and what they mean, so it’s a natural tendency to use them when talking to clients. You’re not the only rodeo in town, and chances are they’ve already had past experiences with marketing consultants of all shapes and sizes. Maybe some local, maybe some outsourced to India. Either way, it would be a good idea to ask them about their past experiences so you have a chance to differentiate yourself. In the first batch of clients I picked up, I literally followed the trail of tears left by one company that was basically scamming their customers. 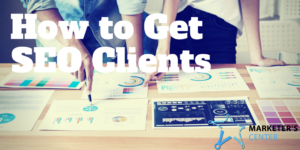 It started with signing just one client up that had done business with them in the past, and then they ended up calling another company they knew that was scammed. It was a great referral. It’s important that you set the right frame from the beginning of the relationship. For example, it can be tempting to promise quick rankings just so you can close the business, I would be careful about setting that kind of expectation unless you’re really confident in the keywords being targeted. Good work takes time, and delivering solid SEO results usually takes at least a few months. I will be honest here, the bar is set pretty low when it comes to your local competition. From the agencies I have encountered in my local area, I am surprised at what goes on. But integrity and honesty won’t just win you clients, it will keep them as well. Clients will be more inclined to recommend their business-owner friends. There’s a lot of benefits to this approach. When I am on the phone or sitting down with a prospect, I want to get as much information as I can from them. I want to know their problems, concerns, goals, desires….everything! A big mistake that I’ve been guilty of is selling yourself too much when you’ve already landed the meeting. Don’t oversell! Find out their pain points so you can offer them the correct solutions. I see this all too often. Too many people are trying to sell “SEO”, but not the benefits it gives. Don’t sell SEO, sell increased leads and sales online via free traffic from Google. Don’t sell conversion optimization, sell a solution that can generate more revenue for their business from the traffic they already generate. I don’t even mention SEO when I engage a prospect anymore. Be honest and authentic. My entire process is transparent and I have nothing that is hidden from the client. I have been told quite a few times that another sales or SEO guy wouldn’t tell them their “secrets” and that it was very off putting either during the sales process or through an active campaign. I’ve created great relationships by staying humble and leading them through my process. Every client has a different need. Some want more exposure while others care about a specific keyword. If you clearly understand and can communicate their needs and desires, then you’re ready to tackle the work and implement a plan that will reach those goals. The customer can always find a cheaper supplier/agent to work with, but generally won’t receive such a good quality service. If you can offer proof of your services, that will help convince them they are making a good decision putting their faith, and business in you. They must understand the timeline of SEO services. Depending on the domain age and online presence currently, they need to be told over and over again the timeline of how SEO works. A link built today may not show results for a couple weeks or it could be tomorrow. They have to trust the process and you as a company. The most important thing to keep in mind when selling SEO, PPC, Content or other digital marketing services, is matching the problem with a solution that takes into consideration what the business owner finds troublesome and what his priorities may be. Just walking up to a business owner and pointing out things they’re doing wrong will get you nowhere fast unless they happen to be in the market for your services. But for the 90% of business owners that aren’t ready to buy when you contact them, I adhere to the present, past, future line of questioning for qualifying if they’re indeed a lead by finding out what their current marketing priorities, their past experiences with SEO, and what they hope to achieve if they ever thought about doing SEO is vital. Give yourself enough room to make money. It’s easy to get swayed by customers who don’t want to pay full cost, but it’s important for your business to remain profitable. Not every client expects the same from you. Make clear what they want and what you are going to deliver. Especially big businesses are very focused on charts, reports and transparency because of internal hierarchies. Sell it, if you want the business and especially if you need the business. You can always find a way to deliver even if you’re not familiar with the business type or niche. Also, I always make any new potential customer fill out a discover form I send to them to qualify them for my services. I start from a perspective of it’s me choosing them, not the other way around. It puts the control in my hands and if they can’t spend 5 minutes to fill out my form and tell me about their business needs, I pass on them. Rankings and traffic mean absolutely nothing to a client. It’s all about conversions. So make sure you and the client have a clear cut way you are going to measure results. The most important part of a good campaign is less about the SEO strategies and more about the relationship building and understanding of the goals of the business. Without this, SEO becomes a cookie cutter exercise yielding only mediocre results at best. Drop the hard sell and provide something of value. Learn about your customers, their businesses, their pains, and their goals. And of course, educate, educate, educate. Sell results and manage expectations. Sell measurable increases in; traffic, list building, leads, revenue, income using simple, easy to read and understand graphics and formulas. Manage expectations by being very conservative as to when results can be expected. It’s important to remember this is how they feed their families so show them the same respect you would show for yourself. Helping a small business grow is what makes this business so great. Respect their domain and never practice on a client. Your agency must understand and sell them what they need. Expectation setting is critical. You are not there to build their entire business. You are not the full-stack marketing department. Local and National brands need different levels of services. National brands need ongoing SEO management, link acqusition, content strategy and technical implementation. Whereas, local brands may only need a few title tags and meta descriptions to be successful. Trust. People don’t trust you when you approach them. Create situations where they must approach you. Either build a presence in the niche you are selling services to or establish a local presence. For national campaigns, PBNs are pretty much taboo. You will get a lot of local SEO guys tout PBNs as a easy way to build links, but If you have a national client that is paying you a ton of money every month for results PBNs can be risky. If a national client gets penalized and pissed off enough they have big enough funds to sue you and destroy your reputation. If they are national, they should have a big enough presence for you to build links without PBNs anyway. You can sell quite well by telling them what increased rankings & traffic will do for their business, then getting into the details just enough to make them realize it’s not something they want to take on themselves and then finish with re-iterating what the results will do for their business. When selling SEO services you should keep in mind that they have most likely been hit on a number of times by a number of different companies to do their SEO for them. So make sure you have services they help you stand out from the crowd and you most also have proof of concept. Many clients want to see that you are able to do what you say you can do and if you are able to have refer excess they can check with then you will be in an even better position to land that project. It’s important to keep in mind when selling SEO to local businesses that they don’t care how SEO works at all. All they care about is getting more sales or more clients. You need to talk to them from a different perspective and don’t sell them on SEO. Sell them on the fact that they’re going to get X number of new clients or new sales for their local business. Don’t talk to them about any of the specifics of what you’re going to do like “I’m going to build 5 new backlinks a month” or “I’m going to rank 15 keywords on the first page of Google”. They don’t care. Make sure you paint a realistic picture of what type of results they can expect and how fast. Over deliver and under-promise and regular follow up with results/activities performed will keep the lines of communication open. Also, don’t forget to start collecting your own testimonials from the beginning – they will help you sell your services down the road. MANY people have a negative impression of people offering SEO. Either from a prior bad experience or anecdotal second-hand stories of someone having been scammed in the “SEO” arena. You need to stand out and be different, listen, listen, listen, and understand that 10 other ‘vendors’ have pitched to them that week or that month – you need to be human, and connect with them on a personal level. For national, even more so, be different, always do what you say you are going to do. Always define the expectations. It important to be very clear on the goal of the project before getting started. You want to clearly define what success looks like because the better you can define what a successful SEO campaign looks like to your client, the more you can expect to have a successful working relationship with them. Clear expectations leads to less questions and resistance from them throughout the relationship – freeing you up to focus on delivering for them. You also have to keep in mind that the management of expectations goes both ways. Your client should set expectations for themselves and meet those as well. If they can’t deliver on their end, how can your agency deliver on your end? I like to stay focused on communicating the benefits of SEO. Tons of consultants talk about technical jargon with clients that they never understand. All a client really wants to know is what your service is and how it will make them money. Definitely know your market. Develop buyer personas and cater to different stages of the buying cycle. Don’t just sell rankings! 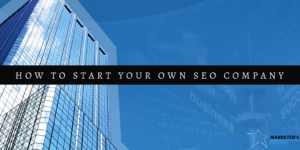 While SEO is all about rankings and every business wants to see their site on the first page never just sell rankings. The ultimate thing you need to sell is more customers, increase in traffic conversions and yes the rankings can be part of the reporting as well. But don’t make your SEO all about rankings. Mind your margins and pick the right clients. It can be tempting to try to discount to get more business by lowering your prices. While you’ll probably always get pushback on price, the reality is that businesses that push you heavily on price tend to be the type that expect everything for almost nothing. They’ll chew up your time and resources, and you’re better clients will suffer. Always price to protect your margins and spend some time defining your ideal clients and aim for those. When selling SEO services to local or national businesses, it is important not to be too “salesy”, but to help provide a solution to their pain spot (low sales, clients, leads, etc.) and make sure you provide the client with the answers to “WIIFM”, What’s in it for Me? (the client) This entails speaking to the client in a language that they understand, making sure they understand the time frames for when the results will begin to be noticeable, and showing them what can result by remaining consistent with the service. Take the time to investigate the value of what a new client is worth. SEO services need to be priced so that the relationship creates a win/win for you and the client. Understanding the lifetime value of a client allows the SEO agency to get the correct value for the service provided. It’s all about the dollars. Everything you do must be about putting more money back into the clients pocket, whether that is for a local or national business. Show them how you will do that for them by growing online visibility, traffic, enquiries and then sales. If you focus on the quick wins first; get the website tidied up, check redirects, optimise the pages, add relevant content, tidy up the citations so they are consistent, reclaim any lost link weight both external and internal etc, then all of these can show really quick movement and move terms several pages. This helps build trust with your new clients in the early stages where they are still unsure about the value of SEO. Honestly, we shy away from using the term SEO or calling it search engine optimization. Business owners get inundated on a daily basis with massive amounts of emails, typically from overseas, that make outlandish claims about “Guaranteed 1st page rankings”. The SEO industry doesn’t have a high level of trust in a lot of peoples minds. We tend to call it online marketing or digital marketing. We explain that SEO is a part of the process, but its not the end all -be all. Keep pricing affordable and you will have clients for life vs short term gigs. After a sale, Map out a plan and stick to it. We always get the best leads from organic search traffic. If you an SEO company work your way up in Google SERP for “SEO” keywords to showcase your experience and knowledge in latest trends and ability to rank websites. Also, our Google Maps location that appears before organic results helped us drive 30% of our traffic, so make sure you optimize and maintain 5 star rating. Do you have your own advice to add when it comes to selling SEO or digital marketing services? Leave a comment below!